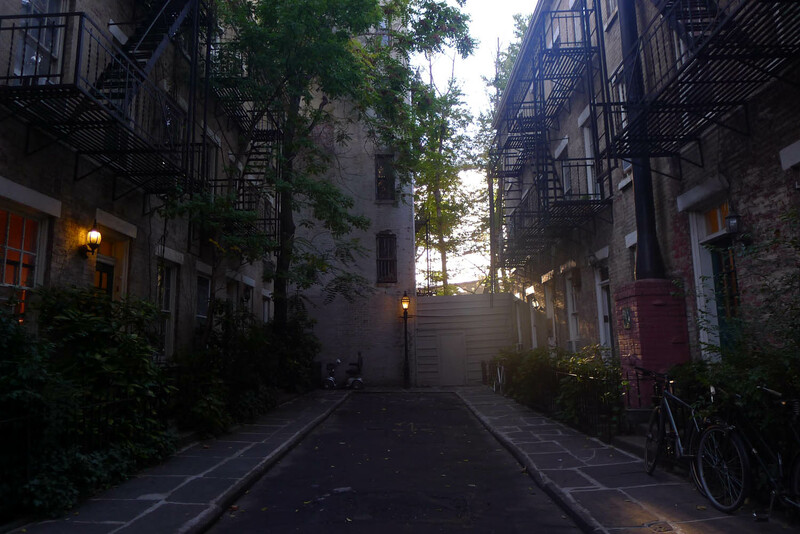 After work, I scuttled a few blocks north to a tiny unassuming corner of Greenwich Village: Patchin Place. 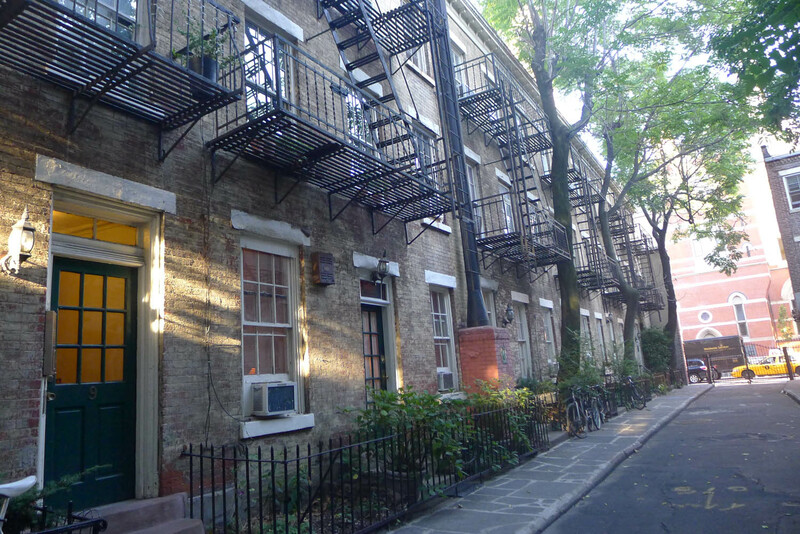 Like all the other quaint streets in this part of the city, there are gorgeous red bricks, snug coffee shops and rubbish-free sidewalks. But it also has something no other street here has: A gaslight lamp. 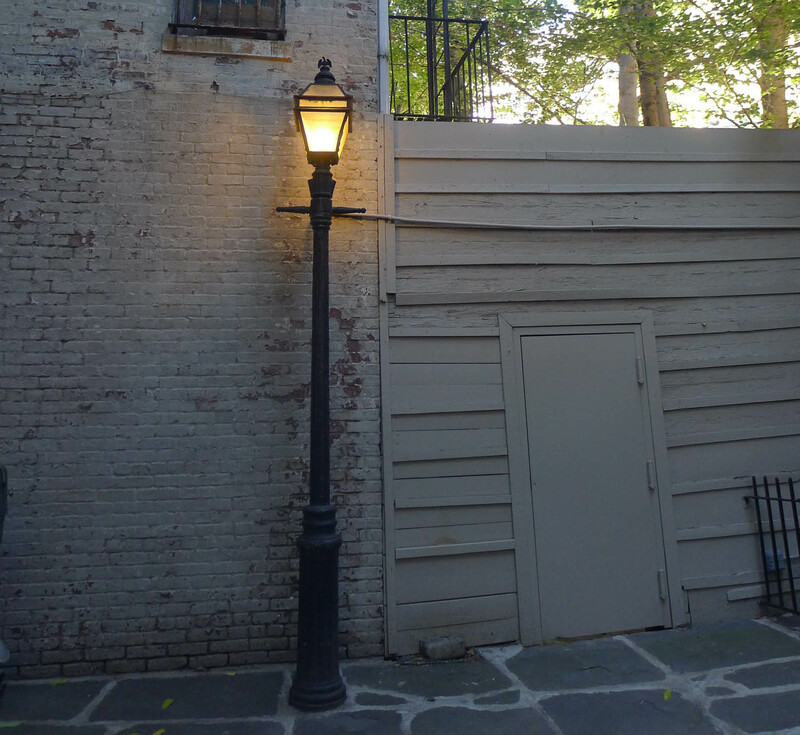 The black cast iron lamp at the end of the cul-de-sac – which is on 10th Street and 6th Ave – is the last of its kind in the city. The lamps were introduced to New York in 1860 but by the 1880s, electricity began to light up the block instead and the lampposts were uprooted and replaced. But this guy was protected by the narrow cul-de-sac and survived. 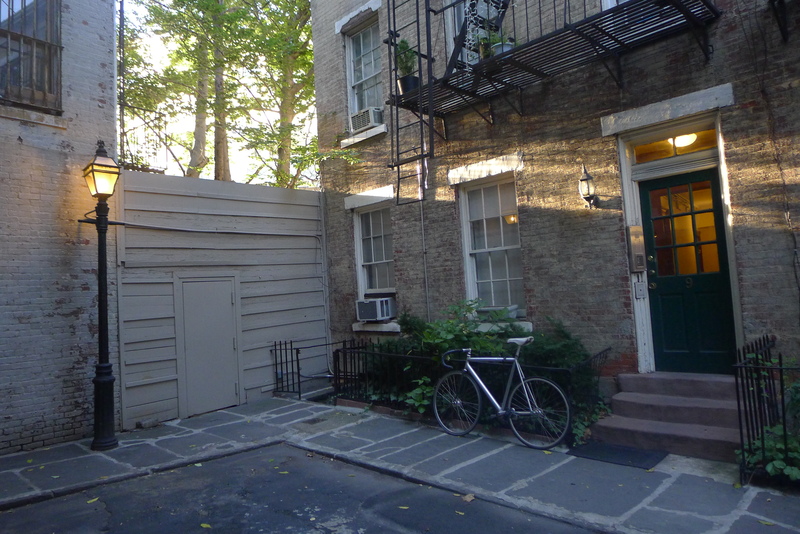 As some added trivia, the hidden street has been home to some famous faces, including E.E. Cummings, John Cowper Powys and Marlon Brando. 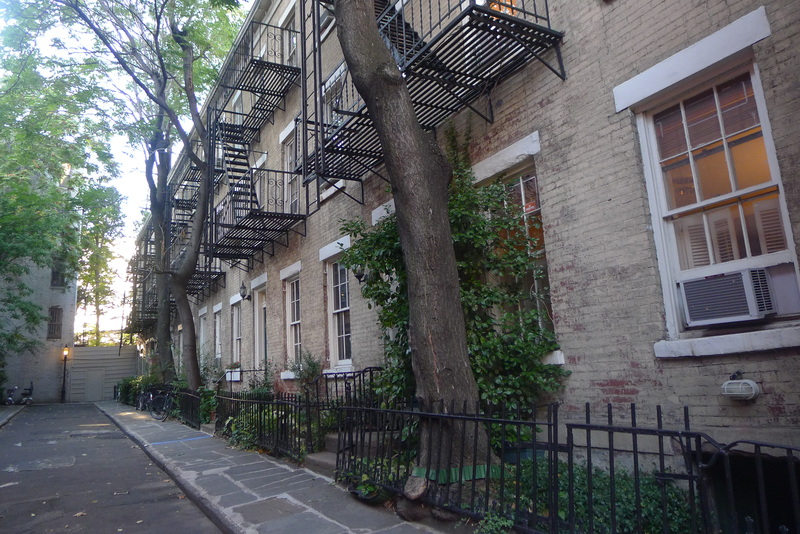 The row now mostly houses psychotherapist offices. 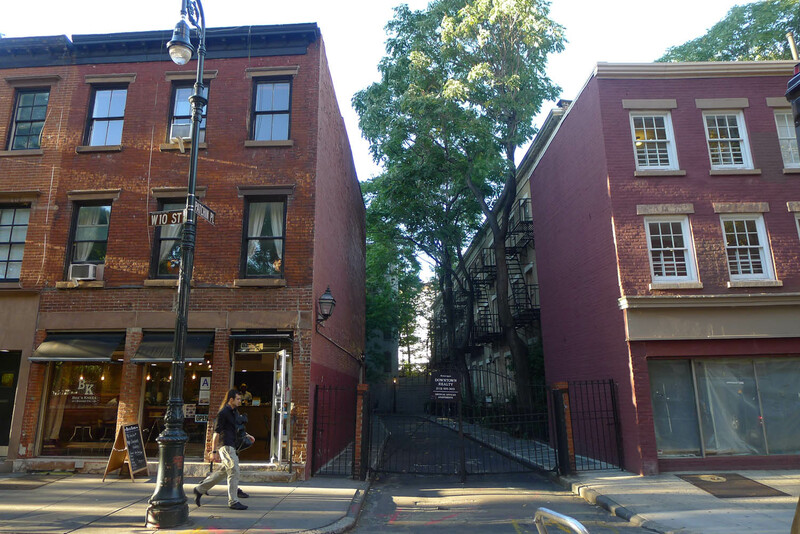 I’m glad I tracked this down – less to see the lamp and more to discover yet another of Greenwich Village’s charming little corners. 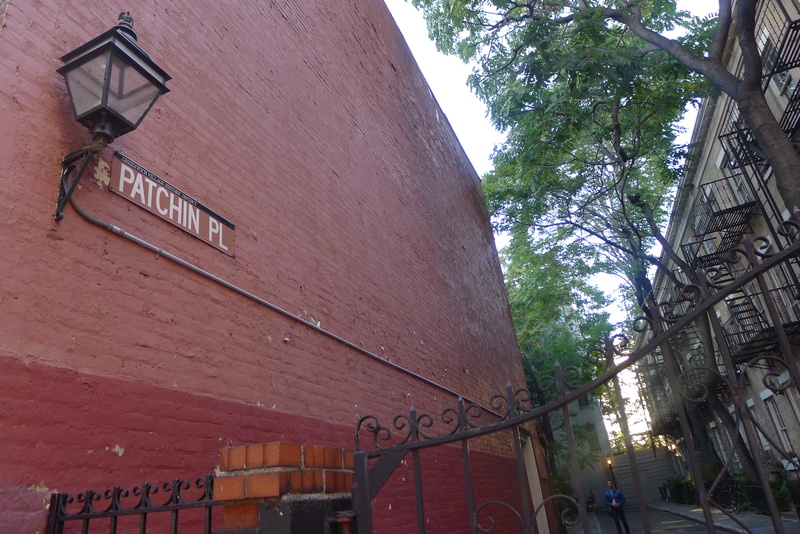 Look out for Patchin Place if you’re in the neighbourhood.